We often come across clients that are in the middle of selling their homes and struggle to find a place to start. 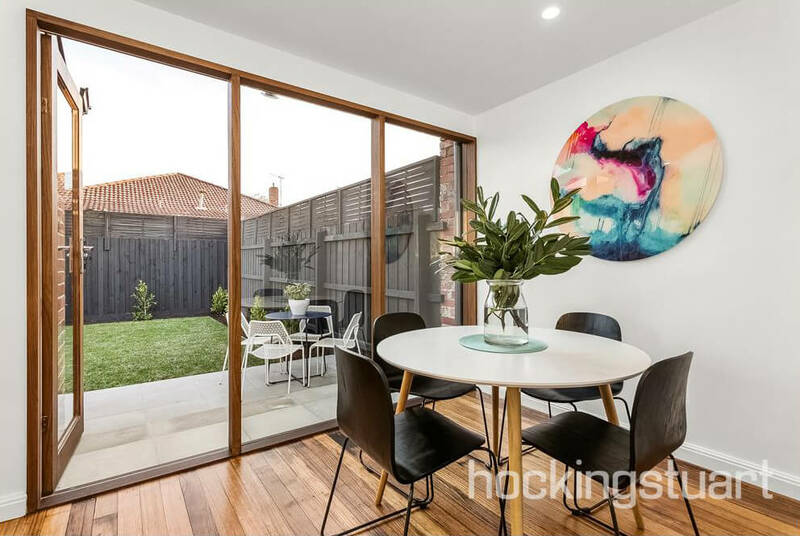 This is where a ‘property stylist’ steps in. The team at United Interiors recently worked alongside Kmode Interiors on their projects. Kmode selected some gorgeous pieces for their clients and we thought what better way to share than with a Q&A! Did you know hiring a professional to style your interiors can increase the value of your home by 10%?! What exactly does a property stylist do? 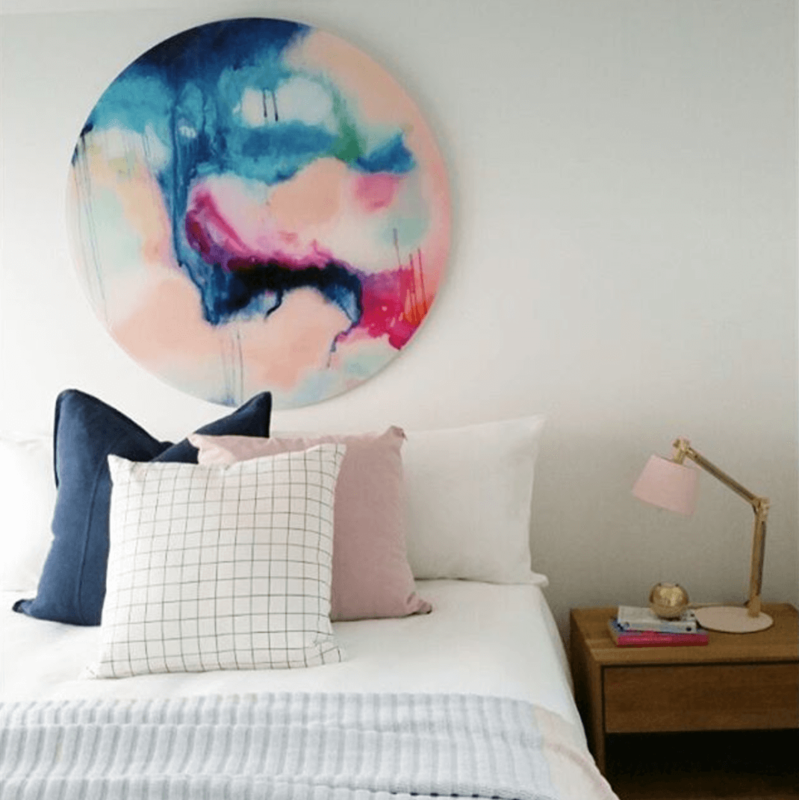 We chat to property stylist extraordinaire, Kate McKimm from Kmode Interiors, to gain some insight into the job, discuss the importance of having a property stylist and to share a few tips and tricks for styling your home to sell. Featured art: The Ripple Effect hand painted art. Styling by Kmode Interiors. UI: Tell us about yourself and what you do at Kmode. Kate: I’m a Melbourne based Interior stylist and the owner and director of Kmode Interiors. 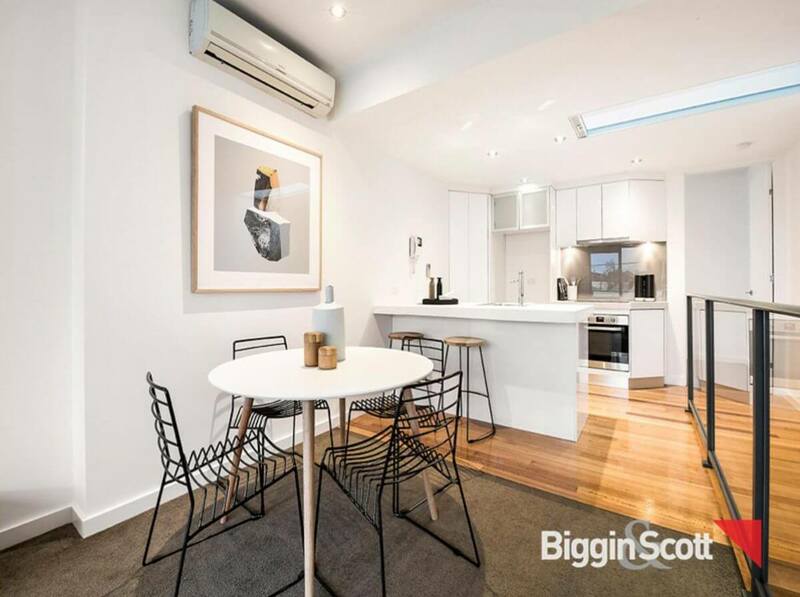 The primary focus of Kmode is pre-sale property styling in preparation for photography and the marketing campaign. 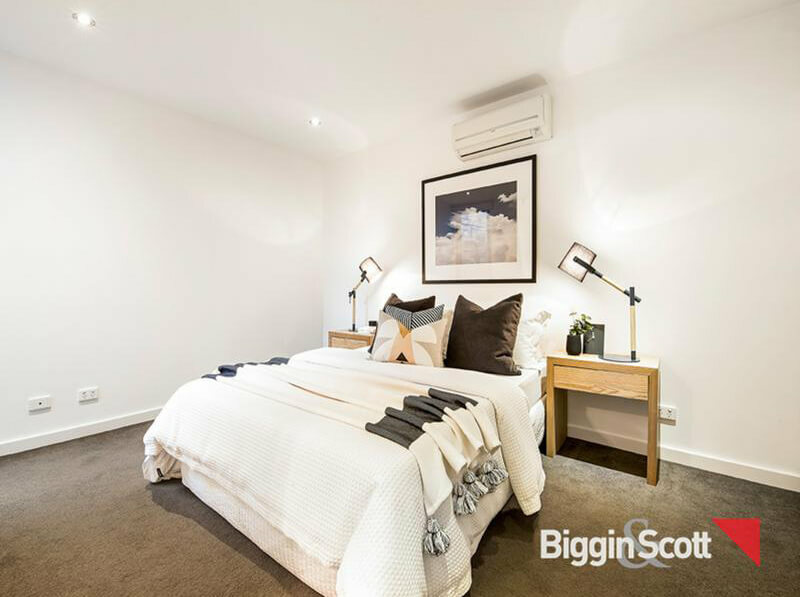 We furnish and style any property from small apartments to multi-million dollar homes across Melbourne. Kmode uses an extensive range of furniture, soft furnishings and accessories to provide the perfect look for each home. In addition to this, we also offer a comprehensive Interior Design/Styling service for clients looking to maximize style and substance of their current home. We have a lot of clients that fall in love with our style so we tailor our look to their needs and lifestyle requirements. UI: How did you get started in property styling? Kate: Apart from having an innate passion for Interior Styling, my background is all about property. Having watched family businesses, McKimm Developments and InForm Design build countless homes throughout the bayside area, the difference the “perfect emotive presentation” can make to the overall outcome desired by the client has been imbedded in my psyche. In addition to this, I had a successful career in residential real estate from 2004 to 2009, in both sales and administrative roles. During this time I had the responsibility of guiding clients through their sales process. In particular, offering advice on presenting their homes for sale allowing them to achieve the highest possible outcome. It was here that the concept of Kmode was created. 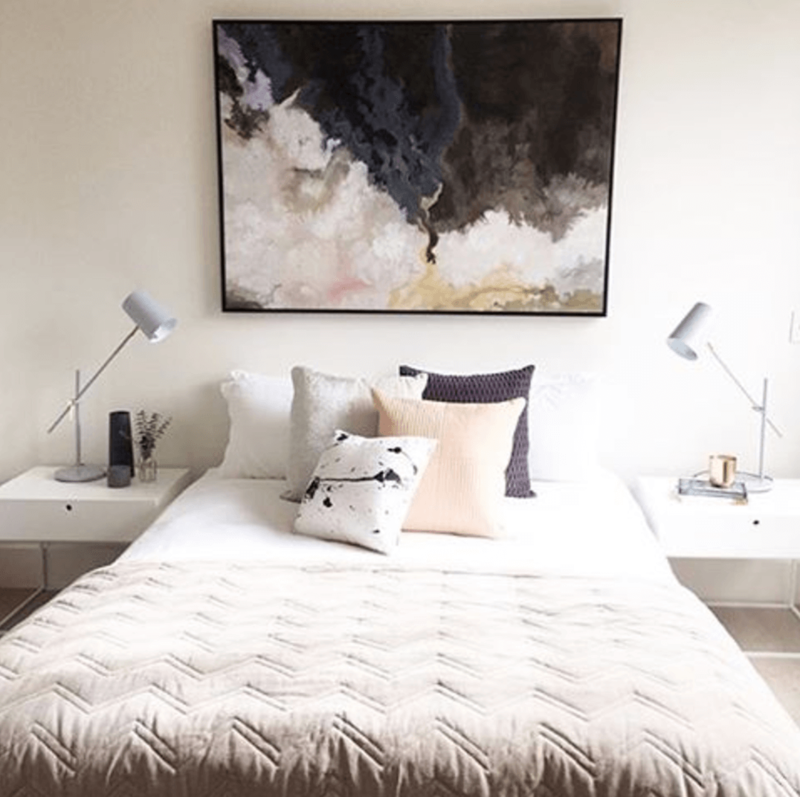 It became clear to me that there was a niche in the market for styling homes in a beautiful Scandinavian style, something that I’m very passionate about. Featured art: Curio acrylic panel. Styled by Kmode Interiors. UI: What is the difference between a property stylist and an interior designer? Kate: Put simply, property styling is about the buyer, designing is about the client. The main goal of a property stylist is to help clients achieve the best possible result when selling their home. Essentially it is our responsibility to style and furnish every house in a way that highlights all its best features. We look at how spaces could be best used, what will photograph well and we style each home with pieces that are very much on trend and have broad appeal to the general public. It’s our job to provide the wow factor and get buyers in the door, ensuring they have an online presence. An Interior designer on the other hand works very closely with clients to gain an understanding on how the occupants intend to use each space and their personal design tastes. When we have our designer hat on we are more concerned about our client’s vision and taste as opposed to when we are staging a home driven by the needs and wants of the buyer. UI: What does hiring a property stylist involve? Kate: When making a decision to appoint a stylist, similar to an Estate Agent, we aren’t all the same. A stylist’s taste, style of furniture, age of furniture and most importantly their ability to match a particular property’s feel and expected buyer demographic are pivotal. These factors all play a significant part when delivering the most optimal finish and feel for a property, and the perfect design to allow the highest possible price to be achieved. UI: What is the process you undertake with your clients? At Kmode we will visit each of our clients in their homes and discuss with them how we think each space could be best furnished for the purpose of selling. We provide an itemised quote listing our recommendations for each space. 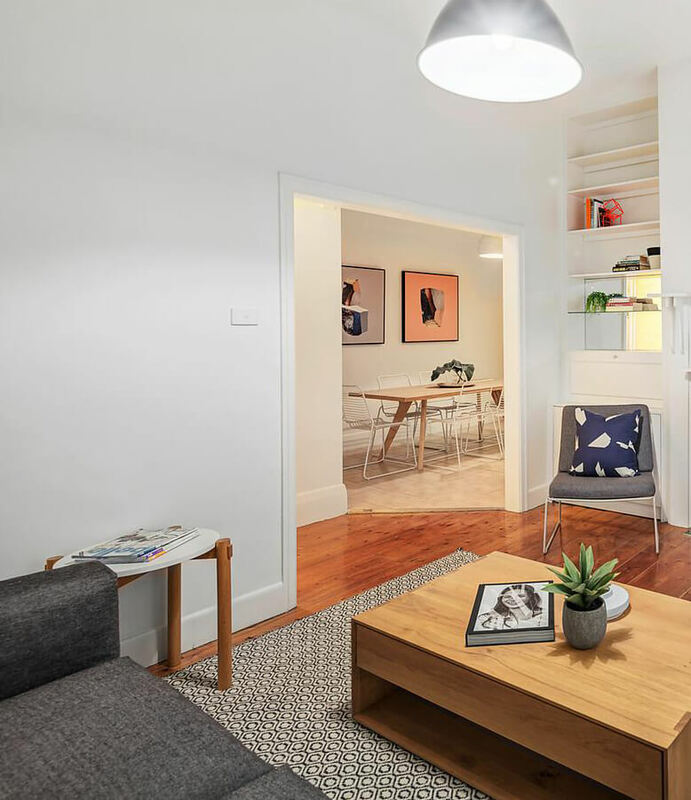 Once given the go ahead a team of experienced stylists will do a site visit to familiarise themselves with each space, take measurements and photographs and then begin selections. As each property is very unique, we hand select pieces for each home. Featured Art: Test 3 framed print. Styled by Kmode Interiors. UI: How do you decide on the ‘look and feel’ of the house? Kate: At Kmode we have a formula that works well in every home we stage. Our Scandinavian style is clean and fresh. The use of light timbers, whites and a soft colour palette works time after time. UI: Best part of the job? Kate: In this job every day is different, there is no fear of repetition or boredom in this industry that’s for sure. We are lucky enough to see inside 100’s of properties and work with new challenges daily. Plus we have the added bonus of playing with gorgeous product. To top it off it’s always rewarding to help our clients achieve a successful result. UI: Worst part of the job? Kate: We meet a lot of lovely clients and fall in love with some amazing properties, it’s always hard to say goodbye to these. Featured art: Sky Marine framed print. Styled by Kmode Interiors. UI: How important is it to have a property stylist? Kate: Using a property stylist will help set your home apart from the crowd. People respond well to homes that are beautifully styled and spaces that have order. It becomes clear to potential buyers how a room can be best used and they can envision themselves living there. By creating the best possible scenario you have a higher chance of getting more people through the door, making more money and selling faster. UI: Tips and tricks for how to add value to your place when styling to sell? Kate: Starting with a blank canvas is best. Always try and create a look that will appeal to the broad market rather than creating a look based heavily on your on likes/dislikes. Keep finishes simple, fresh and bright. Nothing freshens up a home like a good paint job. First impressions are very important so if you’re living in your property during the campaign, aim to keep things very simple. De-clutter as much as you can and pop away things that are personal to you, i.e. personal photographs. The key is to let buyers imagine themselves living in your home so taking away anything personal to you will help with this. When placing furniture in each room, set up spaces to show how each room functions best. Don’t over fill spaces, potential buyers need to feel like they can move around each room with ease. That’s where we can help! Featured Art: Test 3 and Test 2 canvas prints. Styled by Kmode Interiors. UI: Best tip for choosing the right artwork for a space? Kate: When it comes to your own home go with your gut instinct. Art is very subjective and at the end of the day you have to surround yourself with pieces that you love and speak to you. Choose artwork first and then let the colours and mood of the piece guide the palette for the rest of the space. From a property styling perspective we choose pieces that will have broad appeal. We like to look at the colour palette and ensure this works well with the Kmode brand. Lately we can’t get enough of large scale pieces and the dramatic effect they can have on a room. UI: What are you currently working on? What’s next for Kmode? Kate: At Kmode we are always on the lookout for new pieces so that the homes we style always look fresh and on trend. We are currently sourcing new furniture and working on some collaborations with some of our regular local artists so that we can achieve this. With the addition of new pieces we aim to broaden our market and create a separate look for those extra special high end homes. I won’t give too much away but there is another project in the pipelines that will allow our gorgeous Kmode followers the ability to create the Kmode look in their own home. Stay tuned! Keep up to date with Kmode Interiors on Instagram and visit their website for more info.